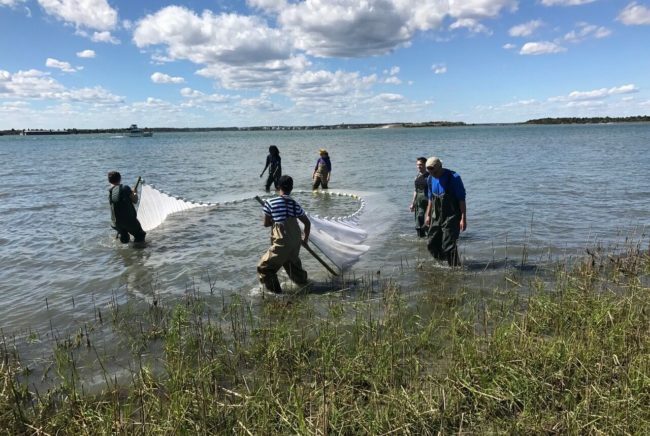 The East Carolina University (ECU) Fisheries Oceanography Lab is now open and being run by Rebecca Asch, a Senior Nereus Fellow at Princeton University from 2013 to 2016. The Asch Lab’s research program focuses on interactions between fisheries, plankton ecology, and climate change and climate variability. Their research approach combines fieldwork, time series analysis, and ecosystem modeling, spanning local-to-global and subseasonal-to-centennial scales. 1. Developing and refining global models of projected changes in the phenology of plankton blooms and fish reproduction under different climate change scenarios. 2. Investigating how the geographic distribution and phenology of spawning aggregations of reef fishes (e.g., groupers and snappers) will shift under future projections of climate change. 3. Developing a local ichthyoplankton monitoring network in North Carolina to improve our understanding how ecological and oceanic conditions influence the abundance, distribution, phenology, and recruitment of economically important fishes. Rebecca Asch is currently recruiting new Masters and Ph.D. students to join the research group for the 2018-2019 academic year. Prospective students should contact Rebecca by email ([email protected]), preferably by November 15. This email should include: (1) a brief statement describing your research interests and career goals; (2) A C.V. or resume, and; (3) an unofficial academic transcript. Find out more here. 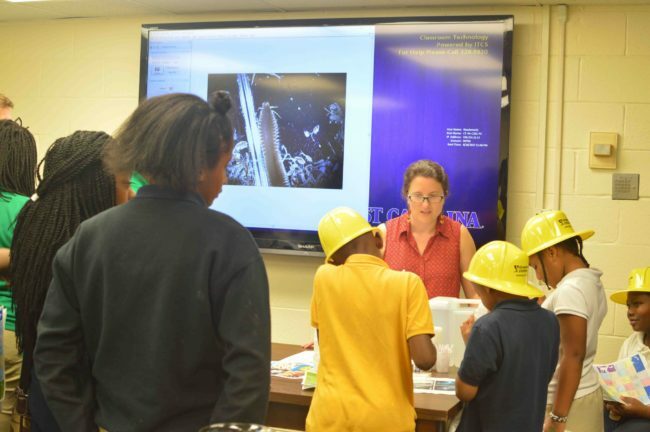 Rebecca Asch instructs an outreach session on ocean acidification as part of ECU’s Earth Day Expo.